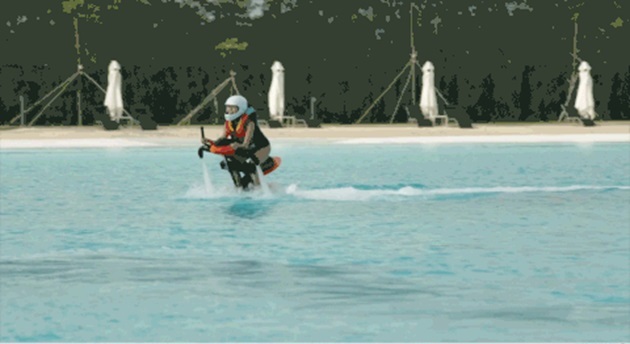 Most people have heard of Fly Boarding and Jet Packing, but Jetovator, not quite. Contrary to what its name suggests, the Jetovator is not some fast paced elevator but in fact functions quite like a jet pack, albeit in the form of a motorcycle-like contraption! 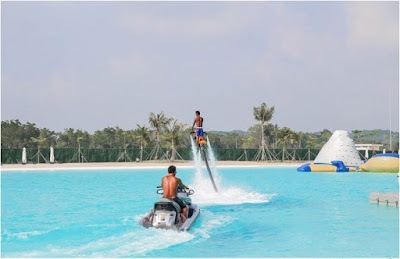 Instead of having to balance on a single board or rely on an amazing sense of balance to propel yourself out of the water, the Jetovator is an easier alternative with its unique shape. Riders get to ride on a device with 4 jets of water instead of 2, making it way easier to balance and to lift yourself out of the water. While it might seem daunting on your first try, the trick is to keep your core taut and your legs strong. After cruising for a bit, slowly pull up on the handlebars and viola! We have lift off! 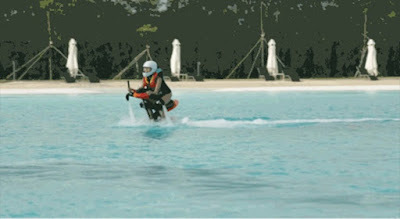 Visitors can try the Jetovator at Treasure Bay, which has facilities that are open to the public. We managed to get airborne on our first try. If we can do it, everyone can too!